Chris Ogiba is an experienced civil litigator and trial attorney who has successfully represented a wide variety of clients in state and federal court and in arbitrations. He has focused his practice primarily in the areas of bank and construction litigation. Chris' bank litigation practice focuses primarily on commercial foreclosure work and lender liability defense, but also includes regulatory litigation and representing lenders in disputes with governmental agencies. 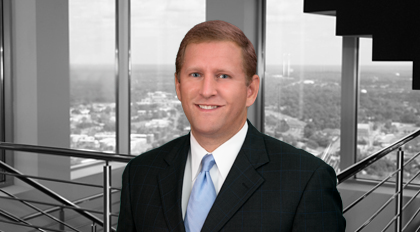 Chris represents several banks and other lending institutions and, while his practice is located primarily on the South Carolina coast, he has active cases throughout the state. Chris' construction experience is broad-based, and includes negotiating contracts and litigating disputes on behalf of owners, developers, property owners associations, general contractors, subcontractors, suppliers, banks, lienors/lienees, architects, and engineers. He has handled matters involving mechanic's liens, bonds, and all applicable legal and equitable claims in most commercial, residential, and industrial contexts.